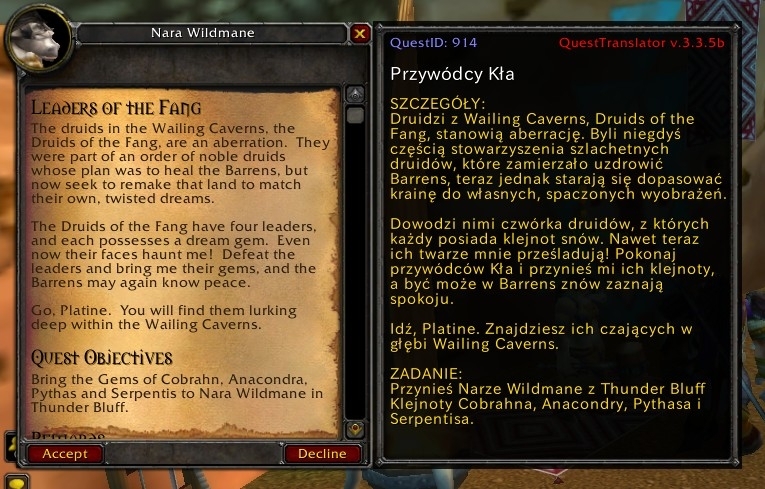 WoWpoPolsku-Quests (old name: Quest Translator) displays the translated text for the quest direct into original quest frame or in a separate window. It works next to the window QuestLog, as well as during conversations with NPCs (QuestFrame). This archive contains only polish translation. Another language is possible in archives on Project Page (link below). 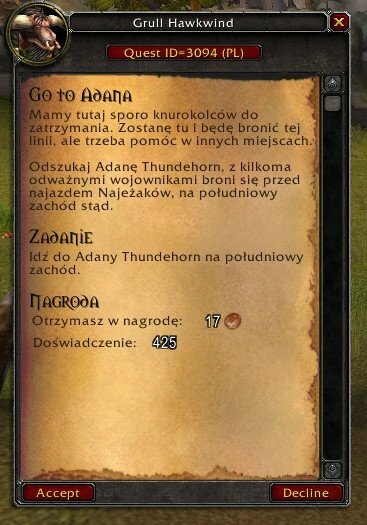 WoWpoPolsku-Quests was inspired by addon QuestJapanizer (Version: 0.5.8, author: lalha), which displays the translated text into Japanese in QuestLog quests. 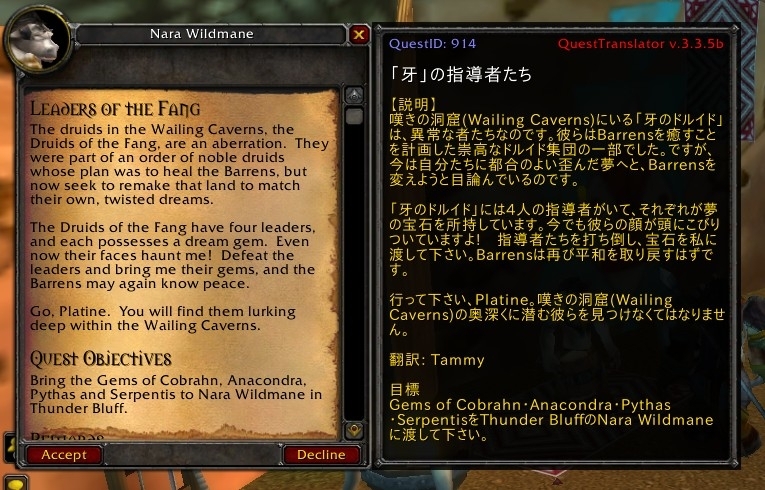 QuestTranslator extends its functionality by displaying text quests in any (previously prepared) language translation of the text and displays the quest right away when talking to the NPC offering the quest (the quest for acceptance of the download, its progress or passing the final quest). 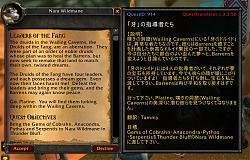 greetings.congrats for the great work.any chance to see questtranslator addon in greek language? 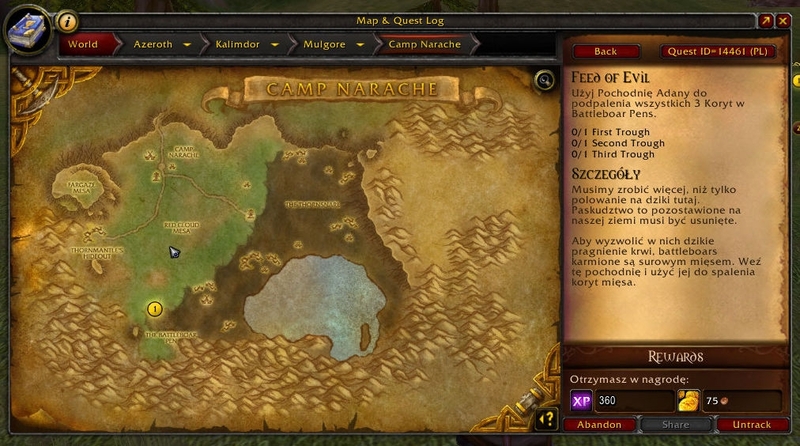 Addon is prepared for different languages.